This is an announcement from the UK Heritage Hub, about a new objective for the Back Our British Rail Heritage campaign. “The NRM has come under significant fire in recent years, the series of damning reports over A3 4472 Flying Scotsman’s overhaul, the financially questionable Railfest, the decision to bring two A4’s over from America when budgets are being squeezed, and the so called “dumbing down” of events and exhibitions have all called the NRMs status as guardians of the National Collection into question. 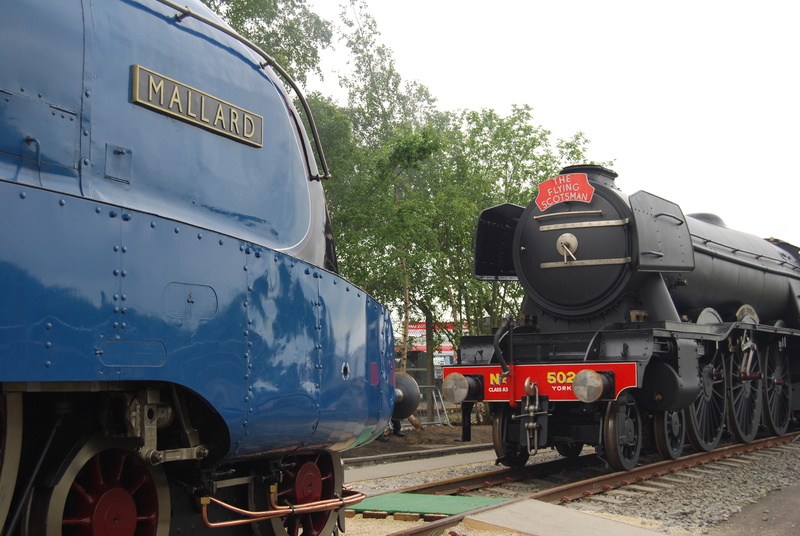 Some have questioned whether the NRM is trying to do too much(At time of writing, the NRM is responsible for the upkeep of both working ad static locomotives, and running the museum). Maybe a better solution would be to form some kind of Railway Museums collection committee and pass the maintenance, overhaul and allocations of all locomotives in museums or not in private hands to this new body. The NRM can then solely concentrate on running the museum itself and organising events it sees fit. The NRM was formerly a major motive power depot, and the constructor of a fair many railway carriages right up through BREL days which saw EMU and DMU production take place in York. To lose all of this would not just be a loss to the eastern regions of the UK, particularly York itself, but also a national heritage site would be lost to the whole of the UK. The MOSI in Manchester is just as important a site. Not only does it document the history of the industrial revolution and the developments in science carried out since then, but the museum also holds events documenting current technologies and advancements in science and technology, and teaches a newer generation of children and young adults alike of where we are and from where we came. The power hall also holds many stationary steam engines and plenty of railway related exhibits, including a replica of Planet, one of the worlds earliest designs of steam engine and the only UK resident Class 77, one of earliest designs of UK overhead electric locomotives. However it’s the site they are on which holds the real prestige. Manchester Liverpool Road station is situated at the bottom of the complex, opened in 1830 as the Manchester terminus of the Liverpool and Manchester Railway, the worlds first Intercity passenger railway and forerunner to todays national network. A real treasure. And to lose it would be truly tragic. Before in our goal to save mainline railway heritage traction, we had a purpose made petition which managed to generate well over 6000 signatures, for which we are still very grateful, an official reply to which is due shortly from the ORR. However this time, we have two petitions set up by local press to combat the closure threats, bot of which may already have lot’s of support, but need every bit of support they can get. Same deal as last time: Sign the petitions! Keep our heritage alive for all to experience! Thank you one and all for your attention. CJ Sutcliffe. P.R Officer, UK Heritage Hub. Save the National Railway Museum!